access publications, research projects, teaching, and visual resources here. Coutts, S., Aird, B., Mitra, R. and Siemiatycki, M. “Does commute influence post-secondary students’ social capital? A study of campus participation at four universities in Toronto, Canada.” Journal of Transport Geography 70: 172:181. Lin, T., Hasnine, S., Habib, K.M.N., “Influence of Latent Attitudinal Factors on the Level of Multimodality of Post-Secondary Students in Toronto” (under review for a peer-reviewed journal). Habib, K.M.N., Weiss, A., Hasnine, S., “On the Heterogeneity and Substitution Patterns in Mobility Tool Ownership Choices of Post-Secondary Students” Transportation Research Part A: Policy and Practice (in press). Habib, K.M.N., “Modelling the choice and timing of driving license: Revelation from a hazard model applied to post-secondary students in Toronto.” (under review for a peer-reviewed journal). Aird, B., Coutts, S., Mitra, R. and Siemiatycki, M. “Does commute influence postsecondary students’ social capital? A Case study of four universities in Toronto, Canada.” The 97th Annual Meeting of the Transportation Research Board, Wasington, DC, January, 2018. Dunne, C., C Skelton., S Diamond., I Meirelles., Martino, M. “Quantitative, Qualitative, and Historical Urban Data Visualization Tools for Professionals and Stakeholders.” Human Computer Interaction Conference, July 17-22 2016, Toronto, Canada. Habib, K.M.N., Weiss, A., Hasnine, S., “On the heterogeneity and substitution patterns in mobility tool ownership choices of post-secondary students in Toronto.” CD-ROM of 96th Annual Meeting of Trans. Res. Board, January 8-12, 2017. Habib, K.M.N. “On the factors influencing the choices of weekly telecommuting frequencies of post-secondary students in Toronto.” CD-ROM of 96th Annual Meeting of Trans. Res. Board, January 8-12, 2017. Harding, C., Nasterska, M., Dianat, L. & Miller, E.J. “Effect of Land Use on Trip Under-reporting in Montreal and Toronto’s Regional Surveys.” hEART 2016. Delft, Netherlands: 5th symposium arranged by the European Association for Research in Transportation (hEART) 2016. Hasnine, S., Weiss, A., Habib, K.M.N. “Is It the Person or Urban Context? The Role of Urban Travel Context in Defining Mode Choices for School Trips of Post-Secondary Students in Toronto.” CD-ROM of 96th Annual Meeting of Trans. Res. Board, January 8-12, 2017. Nahal, T., and Mitra, R. “Factors contributing to winter cycling among students and employees attending a downtown university campus in Toronto, Canada.” International Conference on Transport & Health, Barcelona, Spain, June 2017. Nash, S. and Mitra, R. 2017. “University students’ transportation lifestyles, and the role of neighbourhood types and attitudes.” The 97th Annual Meeting of the Transportation Research Board, Wasington, DC, January, 2018. Skelton, C., Juneia Kaur, M., Dunne, C., Bowes, Jeremy., Szigeti, S., Zheng, Gordon, M., Diamond, S. “Analyzing Student Travel Patterns With Augmented Data Visualizations.” Designing Interactive Systems, June 10-11th, Edinburgh, UK. Cheung, B., Hasine, S., Habib, K.M.N. “How Far to Live and with Whom? 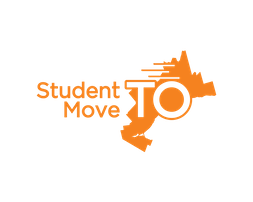 The Role of Modal Accessibility on Student’s Choice of Living Arrangements and the Distance they are willing to live from University in Toronto.”A paper submitted for consideration at the 97th Annual Meeting of Transportation Research Board, January 7-11, 2018. Washington DC. Hasine, S., Habib K.M.N. “What about the Dynamics in Daily Travel Mode Choices? A Dynamic Discrete Choice Approach for Tour-based Mode Choice Modelling.” A paper submitted for consideration at the 97th Annual Meeting of Transportation Research Board, January 7-11, 2018. Washington DC. Habib, K.M.N. ” The Importance of Peers in Student Cycling Choice: A Discrete Choice Model with Endogenous Social Interactions for the Choice of Owning a Bike by a University Student in Toronto. A paper submitted for consideration at the 97th Annual Meeting of Transportation Research Board, January 7-11, 2018. Washington DC. “Travel behaviour of the millennials in the GTHA neighbourhoods.” In progress. Ryerson University. In collaboration with the Centre of Urban Research and Land Development.